We also talked about the New York Time’s recent story about what happens to Biggest Loser contestants after the show. Unsurprising spoiler: They gain the weight back, and sometimes more. To grind or not grind–that is a question we explore on this episode. We talk about when it makes sense to grind your own meat and how to do it even if you don’t own a meat grinder. Sometimes you host a dinner party at your house; sometimes you take the dinner party on the road. We share strategies for the latter. 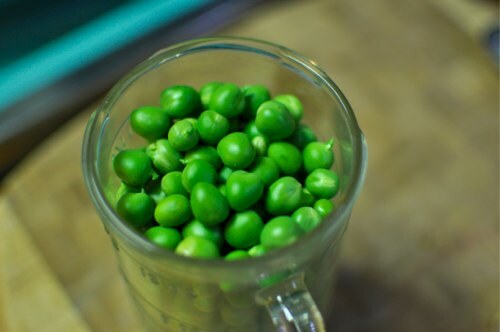 Our seasonal ingredient crush of the week is English peas. These gnocchi are really good, but maybe too flour-y for you Marisa? I am definitely going to look for those liquid sealing lids!! Congratulations on the award, ladies! So well deserved! I loved the talk about taking the dinner party on the road! It’s too funny the things we realize we need to cook! Totally agree about ricotta gnocchi – I’ve never had any luck with potato gnocchi, either – but this ricotta gnocchi recipe is pretty foolproof: http://www.seriouseats.com/recipes/2015/03/ricotta-gnocchi-homemade-food-lab-recipe.html. I like to make some ahead on the weekend and keep it in the freezer for an easy weeknight meal. I make a great potato/semolina gnocchi, it’s essentially 6 baked russet potatoes, immediately removed from the skins and mashed with 2 cups of semolina flour and 2 eggs. Semolina is coarse and prevents the gumminess so often present in gnocchi. Obviously, you need to adjust for the flour, sometimes more, sometimes less. I, generally, serve this with a parmesan white sauce, approximately a lightened alfredo. As far as ricotta gnocchi, I wouldn’t recommend it with a store ricotta. 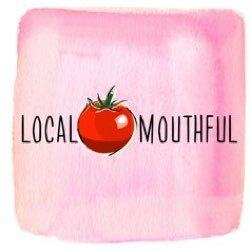 Either make if yourself, or find a reputable local purveyor.